Hermes, the consumer delivery specialist, has invested in state-of-the-art handheld scanners in what represents one of the largest mobile implementation projects in Europe. The company will equip its local courier network and myHermes ParcelShops with more than 20,000 TC75 mobile computers from Zebra, in a move designed to heighten the overall customer experience it provides on behalf of the UK’s leading retailers. 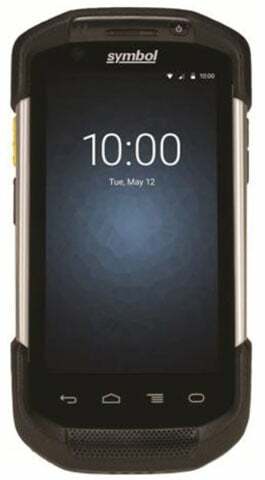 These new enterprise-grade handheld devices and the software which powers them will provide greater visibility during the delivery process as the company moves toward its goal of 100% first-time delivery success. The 4G TC75 devices have a 10-hour battery life, a built-in camera to capture high-quality photos and boast improved GPS functionality. This allows geo-fencing technology to provide pin-point accuracy for delivery, which means parcels are satellite-tracked to the customer’s doorstep. The TC75 devices will help support the ETA time window-service, which, when implemented later this year will give retailers the opportunity to enhance the online shopping experience by giving their customers a four-hour time window for their parcel delivery or collection, removing the need for them to ‘wait in all day’. With the TC75, Hermes will reduce the window to two hours by the end of 2016. This investment will provide a foundation for Hermes to develop additional functionality throughout 2016 that will further improve the choice and convenience it provides to online shoppers. The rollout of the handheld devices to Hermes’ local couriers will start in the spring and will be completed in late summer, whilst the growing network of 4,500 myHermes ParcelShops across the UK will also be equipped with the devices ahead of the 2016 peak season.